The 12 Hours of Sebring was supposed to be the first race for the new Audi R15 LMP racer, and the last Audi-sponsored ALMS entry. 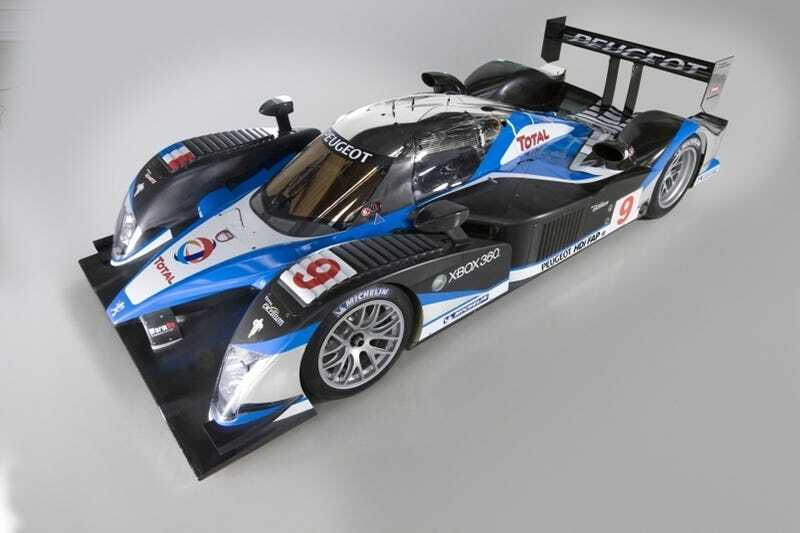 But here comes the Peugeot 908 HDi, Animal House-style! With Audi pulling out of ALMS and Peugeot prepping a highly modded version of their 908 HDi for a Le Mans showdown, it was sort of the perfect opportunity for the French to ruin Audi's party. Just by showing up, the Pug people are going to be grabbing some of the steam and some of the headlines from Audi. Our busy test programme notably includes endurance simulation tests at a variety of circuits, and we will take part in two races upstream of Le Mans which will serve as full-scale dress rehearsals for everyone in the team. We have consequently chosen to compete in March's 12 Hours of Sebring, which is the opening round of the American Le Mans Series, with two cars and six drivers. Yeah, right... This is the best setup for an 80s-style showdown movie since Better Off Dead.